As I write this post, we are making the long journey from Cheyenne, WY to Detroit, MI. 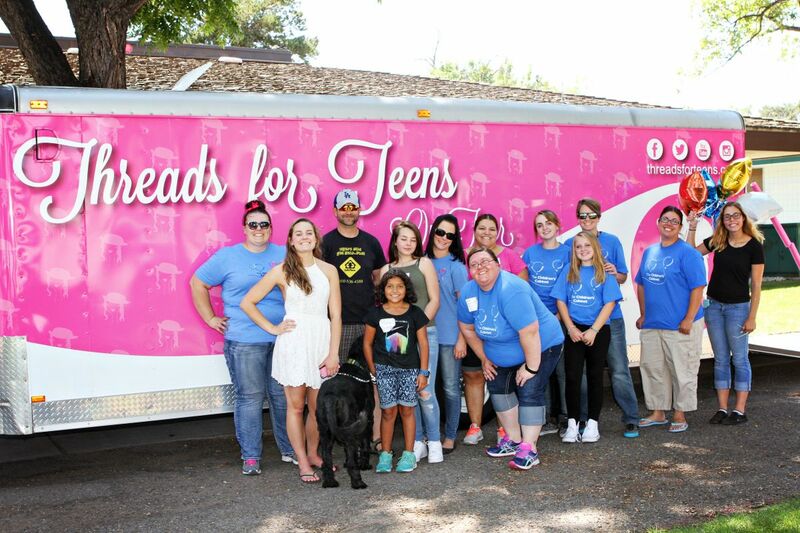 Just several days ago, we hosted the first stop of our fourth annual Threads for Teens on Tour in Reno, NV. While we distributed clothes in Las Vegas the past three summers, we never quite made it up north to Reno. As an aside, Reno holds a connection to my family and myself. We lived in Lake Tahoe from the time I was in Second Grade to Eighth Grade. When the opportunity came to visit the ‘Greatest Little City in the World,’ I jumped at the chance to include it in our itinerary. Rather than make our way down the desolate barren farm-laden views of I-5 to Los Angeles, we drove thru the beautiful majestic Sierra Nevada Mountains. Friday night we arrived at our hotel, and prepared for the next day’s events. Setting up for the event, making the swag bags for all of the girls. 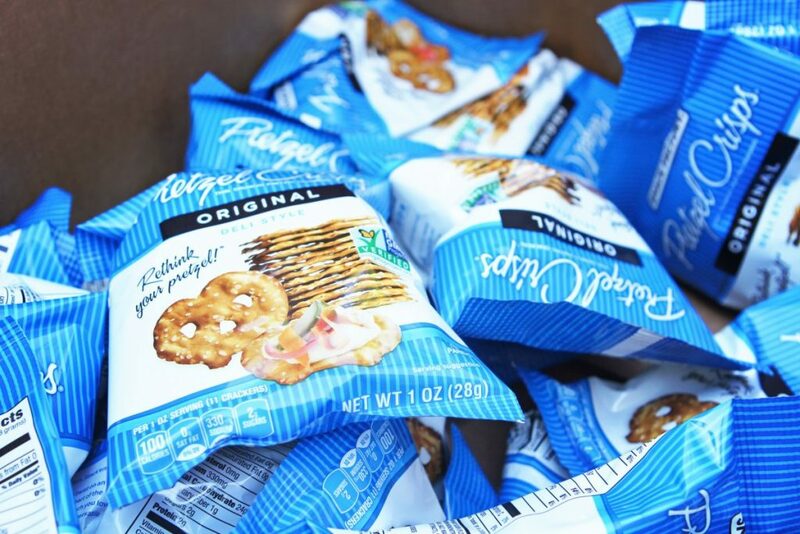 All of the girls get Pretzel Crisps in their bags! Friday morning began with a quick stop to Walmart, where we picked up a few last minute supplies. And then off we went to our event location. Graciously, the Children’s Cabinet of Nevada graciously offered to host and help plan our Threads for Teens event. We were cheerfully greeted by a crew of volunteers from the Children’s Cabinet, along with a combination of Store, District, and Regional Managers from rue21. 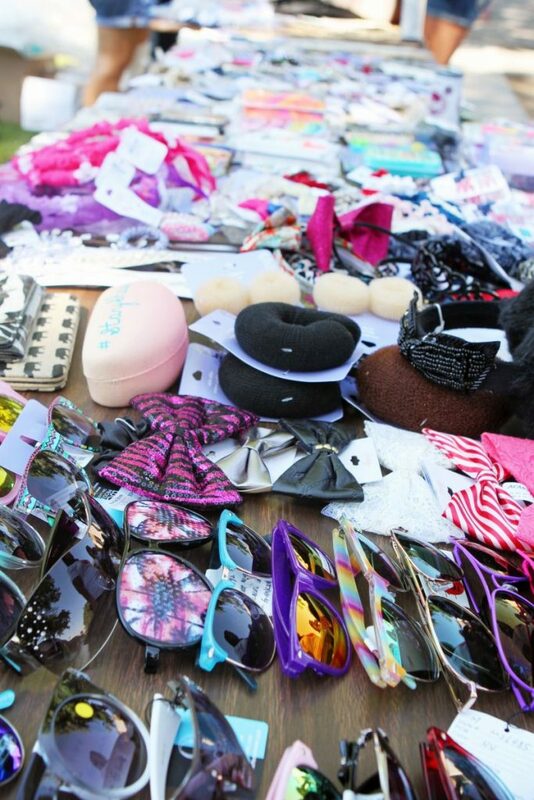 We are grateful to have continued our partnership with rue21 through its rueGIVESback program. As such, they donated many of the clothes for the tour and signed up many volunteers for our different stops. Managers came from as far away as Portland, Oregon to volunteer at this event! 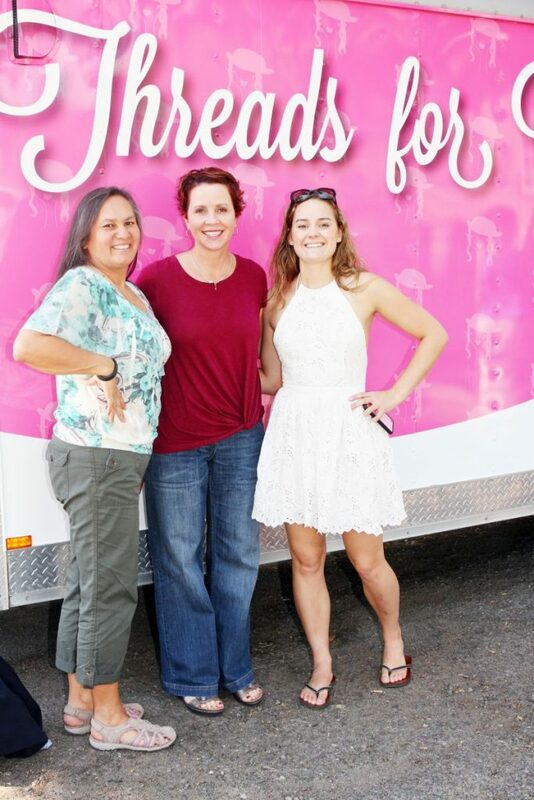 With all of their help, the mobile boutique quickly was transformed from a royal mess to being worthy of a visit from the Queen. As we were setting up, we saw many girls slowly filing into the auditorium where we would be starting with a panel of two inspiring women, retired Sheriff Lisa Lellis and Young Adult author Tracy Clark. As we raced against time to set-up outside, it quickly became time to begin the panel. Girls were becoming restless inside. Both Lisa and Tracy inspired the girls to follow their passions and to never stop, citing examples of hardship and setbacks both faced on their personal journeys. Thank you Lisa and Tracy for being amazing speakers and inspirations to the girls! After this, the most anticipated part of the event rolled around, getting clothes from the mobile boutique! 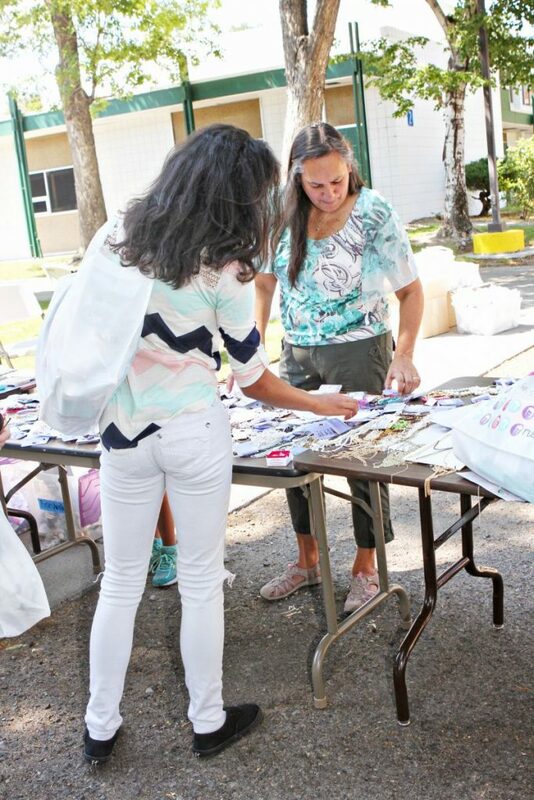 The girls in Reno were split into two groups, one group started making goal journals, and the other group went to take part in the mobile boutique shopping experience. 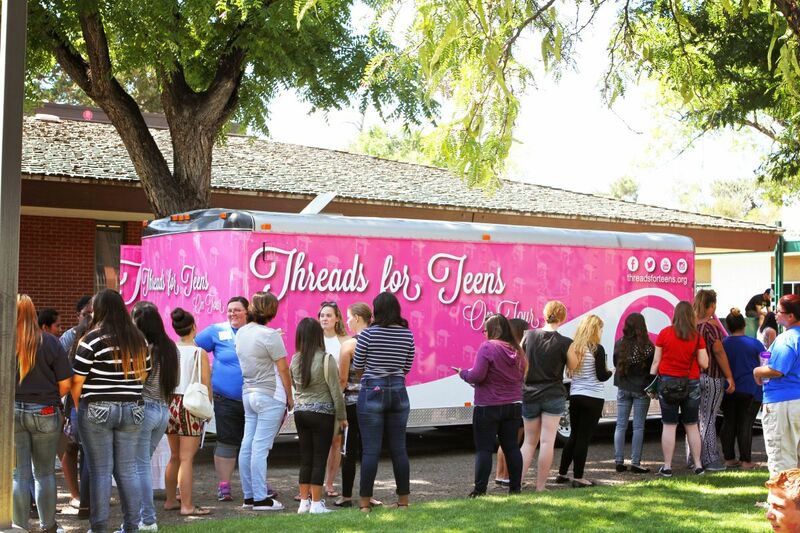 Since the beginning, it has been my vision for Threads for Teens to empower the girls. 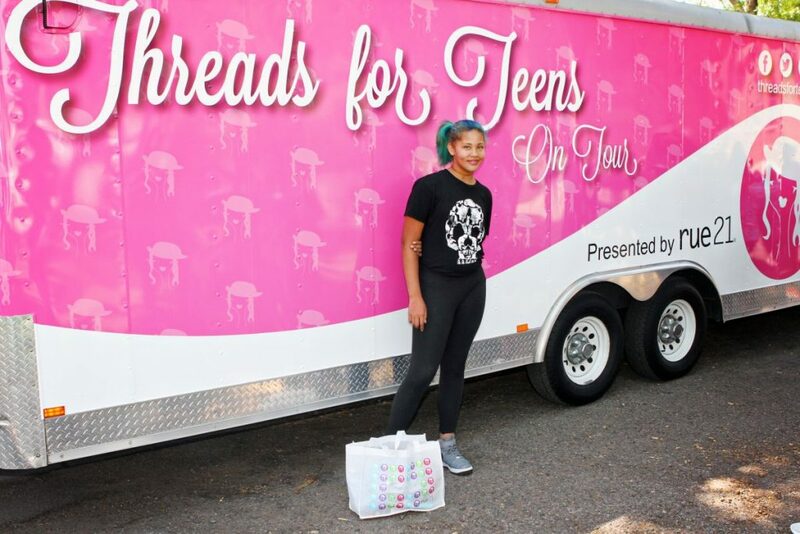 I wholeheartedly believe that Threads for Teens makes a difference in confidence through a dignified and self-expressing experience. However, to take this a step further, we wanted the girls to think about what path they may follow. The girls were given magazines, glue sticks, and markers. They covered the front of the journal with images that inspired them and then wrote inside their vision for the future, and people who can help them get to that place. Thank you to our amazing rue21 volunteers for heading up this part of the event! Desi loves her new clothes! 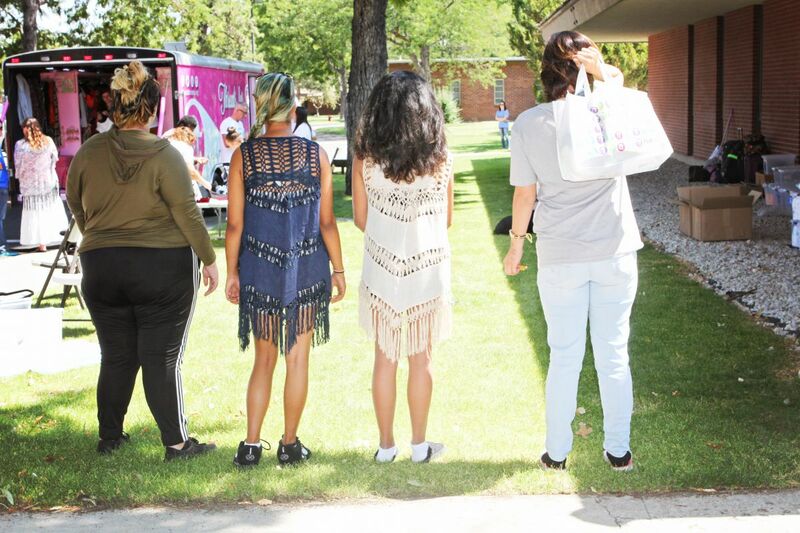 Outside, the girls waited in line in anticipation for their time on the mobile boutique. Super cute, helpful, and stylish rue21 employees waited inside and personally styled the girls. Highlights included meeting girls and hearing them talk about how inspired they were and how they were going to harness this energy to take steps to becoming nurses, doctors, chefs, authors, cosmetologists, and many others. The day ended quickly, but not without leaving lasting impact. Thank you to Reno for providing us with an amazing place to start our fourth tour! Next up: Salt Lake City. All of the amazing volunteers from the day! Shoppers wearing their new clothes out the boutique!